Another year has passed for Erzullie. We are now about to clock in for 2017. And although it is days away, I couldn’t help, but wonder --- how far have we changed and how far are we willing to? This year we tried to do multiple plus size model go-sees to find The Next Erzullie Icon. Don’t get me wrong. I had fun, but it is definitely one of the toughest things to do. And although many would like to become one, not all would be taken. We ended up with two --- Chezka Santos and Carol Perla. And well, I got no qualms about it. We also opened up to plus size model workshops and I know that you ladies loved it. We love it too. We are so happy to see our very own Erzullie Icons share their own experience as plus size models in the local plus size fashion industry. Hopefully, we do more of that next year. Aside from the workshops, we also opened up for the Plus Size Model Open Shoots. This one is my personal favorite. I love how the Erzulliestas that went in just transformed a lot into the fierce curvista that they are. I love the way that they looked before and after and seeing them discover the empowerment inside them is just an amazing honor. We also did a lot of open style houses and first look events. Switching to Demi-Couture (1-4 pieces per style), we were not sure what the people would think and feel about it. But we are happy to see that the Erzulliestas grew in number and actually saw the improvement in the quality of our clothing. Because the number is smaller, we are able to concentrate more on the quality of each piece to make sure that it’s going to last you girls a long time. And of course, lifestyle-centric so we know it’s going to last more than just one season. The events made it even more intimate for us to know about you ladies. You girls treated our showroom as your walk-in closet and that is what we have always wanted to give as your designers. And in your walk-in closet come your very own stylist --- the Erzullie team. We love seeing your faces light up in fierceness when you find the right fit and dress that you love. We also love hearing about the things that you would like us to make. It’s always a nice fresh breath of air. 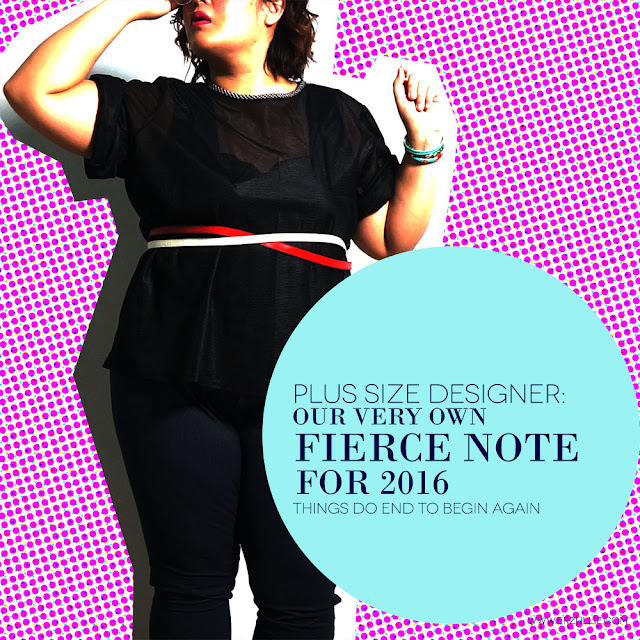 So here is to another year of fierce curves with you ladies. Fierce up!